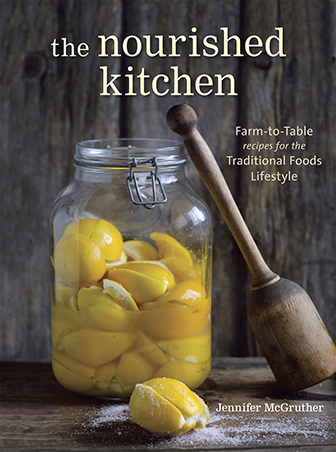 This is the third part in 2009’s series: the Traditional Foods Primer. This month’s focus is sweeteners: the detriments of modern sweeteners, a guide to traditional sweeteners and how to transition from the modern to the traditional. But before we delve into whether or not sweeteners deserve a place in the modern diet – and just what kind of place that would be, we should focus on the basics: what are natural and traditional sweeteners and how do you use them. Last week, you should have rid your cupboards of white sugar, brown sugar, agave nectar, high fructose corn syrup and chemically-based artificial sweeteners. This week, examine this list and head to the store to pick up the ones that appeal to you. Next week, we’ll talk about their place in the kitchen. Honey: Honey has been collected for human consumption for at least 10,000 years, and humans have kept bees since ancient Egypt though the modern method of beekeeping is only a few hundred years old. Honey’s primary sugars are comprised of fructose (levulose) and glucose. Additionally, it contains a variety of antioxidants, enzymes and trace amounts of vitamins like thiamin and niacin. Be mindful in your choice of honey. Choose a raw, unfiltered honey like Really Raw Honey. Many honeys available at your supermarket have been altered through modern processing so that they do not contain the goodies found in the natural, raw honey that our ancestors consumed. Honey can be processed by centrifuging, heating and filtering–this modern processing kills what is an essentially living food thereby depriving you of its nutrients and leaving you with only its sweetness. By contrast, Really Raw Honey and other completely unprocessed honeys still contain pollen, propolis, enzymes, antioxidants and micronutrients which help to at least off-set the effects all sugars have on the metabolism. Beyond that, unprocessed honey has a unique and almost perfumed flavor that is missing from its processed counterparts. Flavor and nutrients: they almost always go together. Honey is sweeter than white sugar, so use only three-quarters the amount of sugar called for. Honey, due to its moisture content, is best in dishes where moisture content doesn’t matter like sauces or beverages. Date Sugar: Date sugar is made by drying dates and pulverizing them to a granular powder. Dates can contain up to 60% sugars and that percentage is increased with drying as the water evaporates from the fruit. For this reason, date sugar makes a very simple, whole and natural sweetener. When using date sugar, take care not to use the sugar in dishes that require dissolving sugar in a liquid. Date sugar does not dissolve well. Instead, use it in baked goods. Date sugar tends to be sweeter than white or brown sugars, substituting half the amount of date sugar would yield the appropriate sweetness to the dish. Unrefined or Low-refined Cane Sugars (Rapadura, Turbinado, Piloncillo, Sucanat): Cane sugar, according to some anthropologists, is one of the oldest domesticated plants. Minimally processed, unrefined and low-refined cane sugars like rapadura, sucanat, turbinado and piloncillo temper their sweetness with micronutrients like B vitamins and trace minerals. These sugars, with the exception of turbinado which we’ll address later, are traditionally processed. First the juice is extracted from the sugar cane by pressing, then that juice is heated to reduce it to a thick syrup. Hand-paddling the syrup cools it and allows the sugars to crystallize. Since the molasses naturally present in the sugar isn’t extracted, the final product can be rich in minerals by comparison to its modern counterpart: white sugar. Turbinado sugar is processed similarly, only it undergoes a steaming or washing that causes it to lose some of its molasses. These traditionally processed sugars can replace white and brown sugar at a 1:1 ratio. They contain many minerals including iron, calcium, chromium and potassium. Molasses: Molasses is a byproduct of processing cane juice into white sugar and, in that regard, I’m not entirely sure it belongs here. Nevertheless, it provides a good source of niacin, thiamin, magnesium, copper and potassium. Its flavor is bittersweet and deeply rich. For that reason it should be used in small quantities so as not to impart to strong of a flavor to the end dish. Sorghum Syrup: Sorhum hails from Africa and it was brought to the Americas with the slave trade. Like maple syrup which is harvested and made in the early spring, sorghum syrup is seasonally prepared. Autumn marks the sorghum harvest season. The process begins by harvesting the sorghum canes which are then stripped of their leaves and milled so as to extract the sweet juice. The juice is then heated and reduced to a thick, golden-copper syrup that is nicely sweet with a unique, subtle flavor reminiscent of tropical fruit. Sorghum syrup is an good source of manganese, vitamin B6, riboflavin, magnesium and potassium. You can use it any recipe that calls for a liquid sweetener. Prior to corn syrup’s rise in popularity, sorghum syrup sweetened that classic confection of the American South: pecan pie. Maple Syrup & Maple Sugar: Native Americans were the first to tap the maple trees native to what is now the north-east United States. They, in turn, taught the technique to European colonists. The technique of processing the sap of the maple trees into useable maple syrup and maple sugar has not changed since its inception and making maple syrup is still largely a cottage industry today much as it was several hundred years ago for the colonists. First, the maple tree is tapped and its sap runs from the injury to its trunk into waiting buckets. That sap is then cooked down to reduce its water content and increase its sugar content until it becomes a fine, sweet syrup. The syrup can be cooked down further until so much of the water evaporates that the sugars crystallize making maple sugar. Maple syrup and sugar are excellent sources of zinc and manganese and also provide trace amounts of calcium, iron and magnesium. Maple sugar can be used at a 1:1 ratio for white or brown sugar, but it is very costly. Coconut & Palm Sugar: Popular in southeast Asia, coconut and palm sugar are yet another natural sweetener known in earlier times. Originally extracted only from the palmyra palm tree, it is now made from sago and coconut palms as well. 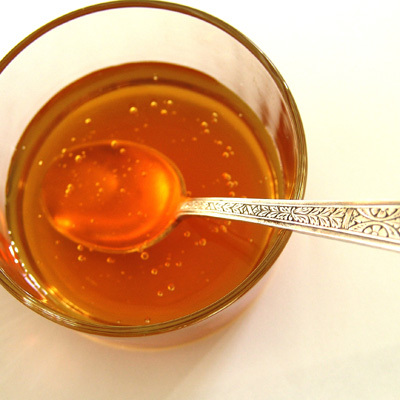 As with other sweeteners, the juice is extracted and then boiled down until it forms the desired consistency: a syrup, thick gooey paste or sugar crystals. The manufacture of coconut and palm sugars is small, and because of this, batches of coconut and palm sugar can vary wildly in terms of texture and color. Sometimes it’s sold as a gooey, semi-liquid paste. Other times it’s sold in hard cakes. Sometimes it’s light colored like cream, while others it’s a dark gold. Coconut and palm sugars can be used in confections, but they’re also used to balance strong flavors in curries, sauces and other dishes. You can use it at a 1:1 ratio for white sugar. Stevia: Stevia is native to South America where it was used by indiginous peoples in tea and as a contraceptive. Steviosides and rebaudiosides are the natural compounds in stevia that lend it a sweet taste (many hundred times sweeter than sugar) but without the calories. As a non-caloric sweetener, it presents and excellent alternative to chemically manufactured artificial sweeteners like sucralose and others. Take care to purchase only the green stevia which is the least processed form available on the market. Green stevia is simply the stevia herb, dried and powdered. White stevia and liquid stevia are a result of processing which concentrates the steviosides and rebaudiosides and it is a new, modern process. Native peoples didn’t sweeten their teas with liquid stevia, so be wary. Further, it was traditionally used as a contraceptive–a medical use that some studies back up and others do not. So women who are trying to conceive should be aware of this factor prior to using it. If you choose to use stevia, use green stevia which is an excellent accompaniment to tea and herbal tisanes. Other culinary uses for unprocessed, green stevia can prove challenging. These represent the most easily accessible natural and traditional sweeteners, so head to your health food store and try a few out. You might be surprised at how easy they are to use in cooking. A word of warning, though: all sweeteners – even natural and traditional sweeteners – should be eaten in limited quantities and only on rare occasions. They are strong foods, rich in simple carbohydrates and that can prove challenging for almost everyone’s metabolism. We’ll expand upon the discussion of natural sweeteners next week when we discuss when and how to use natural sweeteners. 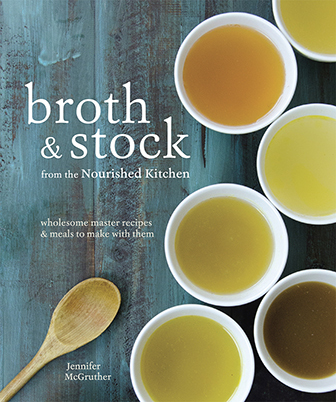 Hopefully, this guide will make your transition into wholesome, traditional foods just a touch easier. I had been told that eating local raw honey (and it’s local pollens) helps our bodies to fight off the allergens that cause seasonal allergies too. Have you heard this? What about the last of those sweeteners? Molasses is really rich in iron. What else? How do you feel about sucanat and turbinado? My husband uses malt extract I think in beer brewing. It’s really sweet and mostly maltose. Have you used that? Noelle´s last post: still reading. I’ve heard that about honey too! We use local, raw, unfiltered honey and don’t suffer from allergies to pollen. I don’t know if it’s the honey, or if we just aren’t allergic. I haven’t used malt extract, but I read a book that explained that by sprouting, drying, roasting and then grinding different grains you release the maltose and just a tablespoon or two of this flour can have the same effects on breadbaking as malt extract so I often do that when baking bread. I’ve been using organic sweet sorghum lately with good success. Thanks for the useful and informative post! Ren´s last post: Slow-cooked Salmon. You can use honey in baked goods, just make sure to lower the temperature by 25 degrees (as honey promotes browning), and reduce the amount of liquid by 1/4 cup per cup of honey or other liquid sweetener. In the U.S. most all purpose flours contain a portion of malted barley flour (less than 1% by weight), this increases the availability of sugars due to increased enzyme activity leading to a darker crust and quicker fermentation. Thanks for this great blog, I love it! Sorry to be off topic but I have a question – why is all of the text in such a narrow column? It makes it very difficult for me to read through everything. Is there any way to change this? Is it just me??? Hi Chava – thanks for the feedback! I adjusted the sidebars so they should be a touch smaller, although the narrowness might also be due to your browser. Take care. Ryan – that is some EXCELLENT info! Thanks! We grind our own grain, so all purpose flour is kind of a foreign entity in our home, but it’s really good to know. Thanks for this post. What do you know about brown rice syrup? I’ve seen that a lot lately but don’t know much about it and its nutrition. Linds´s last post: Family Night Ideas. Ise rapadure and honey for sweetners. Elizabeth Quigley´s last post: Sunday Morning Waffles. Linds – Brown rice syrup is manufactured by adding sprouted grain (usually barley or brown rice) to brown rice. That mixture is cooked down with water until the grain basically dissolves. It is then strained, and the resulting syrup is packaged. I haven’t been able to find any evidence of it being used in traditional societies (of course, that doesn’t mean it wasn’t used). Since all it really amounts to is cooked rice, it definitely qualifies as natural in my book. It is only about 20% as sweet as sugar, so it’s best used in combination with other natural sweeteners. Thanks for this great rundown of sweeteners. I had heard of brown rice sugar before, but didn’t know how it was manufactured. I think that these natural sweeteners aren’t quite as interchangeable in recipes as refined sugars though. Nate´s last post: Homemade Baked Char Siew Bao. I enjoyed your post on the natural sweeteners. I replaced the sugar I used with the natural cane sugar (dehydrated) a few years ago. It does not have the negative affects like white sugar, and has minerals to boot! Shanna´s last post: Oatstraw for Your Bones. Jenny, does mixing molasses with milk or yogurt interfere with the absorption of calcium in the dairy products? I’ve heard that iron prevents absorption of calcium when taken together, but haven’t found any info specifically regarding mixing molasses with dairy. I’m asking because I’ve sweetened plain yogurt with molasses in the past but am unsure about its resulting nutritional value. I’ve read a lot of mixed things on the topic mineral absorption and dairy products. It is confusing. I know that some health care professionals recommend avoiding mixing iron-rich foods with dairy since dairy may prevent full absorption of iron (i.e. milk anemia). I’m not sure about calcium. In the end, I tend to take a relaxed attitude; that is, as long as you’re eating nutrient-dense foods in general and don’t suffer from severe mineral absorption issues, you’re probably just fine. An occasional treat for my son is molasses mixed in raw mik, and I make a molasses custard in wintertime and we seem to be doing alright. Hi there, thanks for the info, I was really interested in your article on Agave Nectar. I did have a question about xylitol, have you ever heard of it or used it? I am looking forward to browsing your site, a friend just recommended it to me! I had a friend just ask about “organic sugar.” The label says, “organic evaporated cane juice.” I wasn’t sure what to tell her…would that be like a turbinado? I have never bought it before, so just didn’t know what advice to give. Thanks for any help. We also use jaggery made from sugarcane as a healthy substitute for sugar. Why isn’t brown rice syrup mentioned? No good? They are sweet. Jenny – can you recommend a sweetener for homemade yogurt? I’ve tried honey and don’t appreciate the flavor of my particular source. Any others that blend and taste good? I wonder, what is the downside to honey extracted with a centrifuge? I’m in my first years of beekeeping, and we borrow a little three-frame centrifuge to extract our honey. You uncap the honeycomb with a knife, then pop the frames in this barrel, and turn on a little motor that spins them, the honey hits the side of the barrel and drips down to a bucket. There’s little to no heat involved, the frames are only in there for 7-10 minutes at most. Last time we harvested, there was more ambient heat in the room because it was a blazing August day and we have to keep the windows shut so the bees don’t try to take back their honey! We can’t take the comb out to crush and squeeze extract as we use foundation in the frames. There’s a bit of a screen on the bottom faucet of the bucket, but a fair amount of pollen and wax cappings get in there anyway. We don’t pasteurize our honey as it’s just not necessary. I think getting in touch with your local beekeeping association would net you excellent local honey full of your local pollen. I don’t know any beekeepers who would say no to some help with extracting, and you’d definitely get good honey that way and know exactly how it was processed. Anyway, that is a long explanation for a genuine question about extraction methods! Early in your article you state, “Last week, you should have rid your cupboards of white sugar, brown sugar, agave nectar, high fructose corn syrup and chemically-based artificial sweeteners,” but I can’t find the previous article that talks about this. Is it possible for you to include the link to the previous article in this article? Also, I would love a link to all the Traditional Foods Primer articles. I did a search on your site for “Traditional Foods Primer” but only found 3 articles. Any help would be appreciated.